I have been thinking about this a lot. I have spent a lot of time with someone recently that has shown me this in the most beautiful and humble ways. A cup of tea, a text message, a birthday card are all met with heartfelt gratitude and appreciation. The birthday cards tend to travel around in her bag for a couple of weeks whereby they are shown to everyone with delight and more gratitude. From this, I have become more aware of what I have to feel grateful for and show my appreciation more readily. There’s been a lot of talk about gratitude in recent years. The field of positive psychology makes a strong link between gratitude and greater happiness. 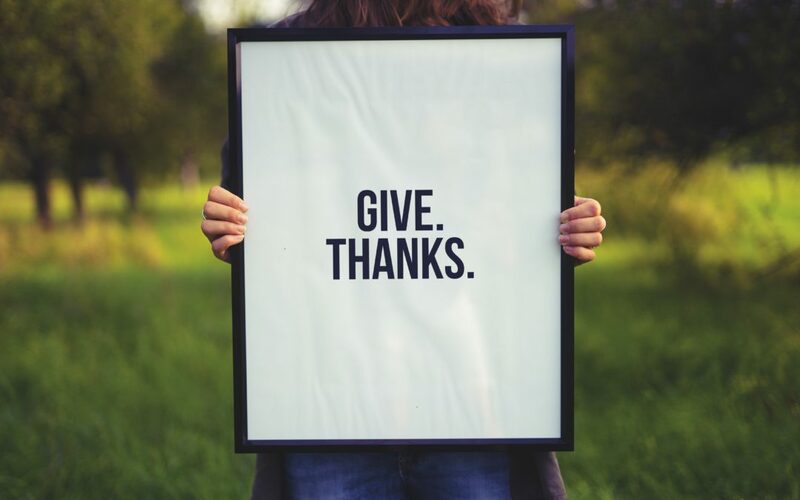 Numerous scientific research studies have been carried out, showing that by practising gratitude regularly, can help you feel more positive emotions. We sleep better, express more kindness, and have stronger immune systems. When we practice gratitude, and by acknowledging and relishing the good experiences that you have, can improve your physical and mental health. It helps you to deal with adversity and build stronger relationships. In fact, making a list each day, which includes between 3 and 5 things that you are grateful for, no matter how small for 21 consecutive days; actually rewires the brain. Neurons that fire together wire together. Indeed, the more you stimulate these neural pathways through practicing gratitude, the stronger and more automatic they become. It’s a positive mental state that grows stronger with use. The more times a certain neural pathway is activated (neurons firing together), the less effort it takes to stimulate the pathway the next time (neurons wiring together). So in essence the more times this pathway is travelled the stronger and easier it becomes. By practicing gratitude , it can direct our focus and encourage positive thinking instead of looking for problems. When practised regularly it enables our brains to search for positive and constructive themes in our life. Allowing us to focus on what is good so that we can nurture it. Gratitude can be expressed in many ways. Nurture your relationship with someone special by writing them a letter that expresses your appreciation and gratitude for the positive impact they’ve had on your life. When you’re outside, take a moment to stop and look and absorb what is around you. Become more aware of your senses, what you see, hear and smell. Notice your day to day world from a point of gratitude and you will probably be amazed at all that we take for granted. With a little practice, take a moment each day to take in natural beauty and reflect on positive events. Like all practices, it takes stamina to stick to it, and it shows results when you do. • Relax and focus on the present moment. • Intensify the feeling by visualising it in stronger sensations. • Keep that experience in mind longer than usual to embed positivity into the brain. Even a few minutes at a time practicing this meditation will have an impact on your mental wellbeing. The more you commit to this and practice, the more you create new neural pathways and alter existing ones as you train your brain to develop a more grateful outlook.